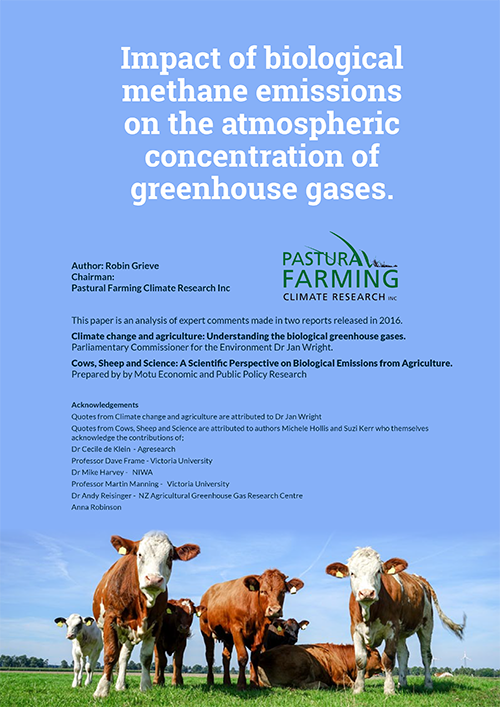 New Zealand Pastural Farming Climate Research - Promoting livestock methane emissions as sustainable and not responsible for global warming and advocating fairness for agricultural producers under any carbon emission laws or regulations. No cow, sheep, pig, or goat has ever managed to create carbon from nothing. They produce products by using carbon taken out of the air which is then stored away in the bones of growing children, in carpets and furniture and clothing. This means greenhouse gas levels in the atmosphere can not increase due to the presence of ruminants; they can only decrease if anything. The agricultural emissions that they claim make up 48.5% of NZ’s greenhouse gas emissions do not exist. They then confuse these theoretical emissions with real carbon emissions such as those from oil and gas; And they lump them all together and the result is a complete farce.